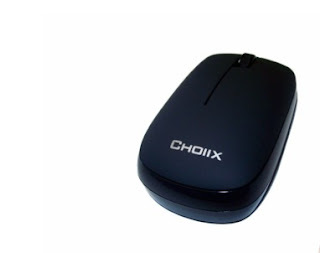 Choiix is a brand created by Cooler Master that focuses on accessories for laptops and netbooks. Cruiser, which is a portable wireless mouse designed for use with laptops, is the first Choiix product we got our hands on. It’s available in five attractive colors (black, white, green, blue and red) and sports an elegant design. The speciality of this mouse is that unlike regular optical mice, it can track on glossy surfaces and transparent glass thanks to the Blue Trace technology. It has a blue LED at the bottom instead of red. A pair of AAA batteries lends good weight balance to the mouse and the grip is excellent. If you have big hands, you can elevate the rear of the mouse for a more ergonomic grip. 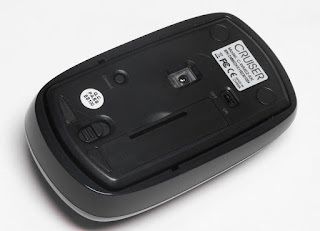 The wireless receiver is tiny and houses in the mouse’s body so that you don’t lose it. The Choiix Cruiser bundles with a small mouse pad which grips glossy surfaces very well.